The MH-139 is based on the world-class Leonardo AW139 helicopter. USAF selects MH-139 to replace UN-1N Huey fleet. 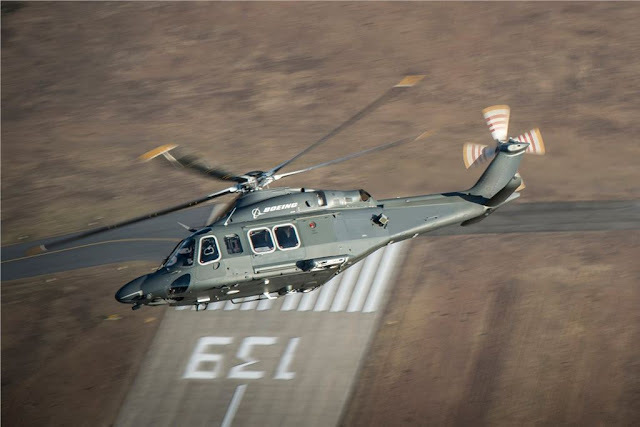 Sept. 25, 2018 - The United States Air Force (USAF) today selected the MH-139, based on the Leonardo AW139 and offered by Boeing as prime contractor, to replace its fleet of UH-1N “Huey” helicopters. The programme awarded today is valued at $2.4 billion for up to 84 helicopters, training devices and associated support equipment. With initial operational capability expected by 2021, the aircraft will take over the role of protecting the nation’s intercontinental ballistic missile (ICBM) bases and the transportation of U.S. government and security forces.